Here is a directory of Gujrat Fan Industry with Products, Contact Phone and Fax Numbers, Website and Email addresses of these industries. The products of these industries are not only being used in the Pakistan but also these are exported to all over the world. Now a days these fan industries are not only limited to different type, quality and variety of fans, but these also manufactured Motorcycles, Skimmers, Washing Machines, Air Conditioners and Room Coolers. Yunas Fans has a wide range of products which not only include fans but also many other electrical home appliances. Products include Table Fan, Louvre Fan, Pedestal Fan, Ceiling Fan, Heater Fan, Wall Bracket Fan and Exhaust Fan. While other home appliance manufactured by Younas Fan Company are Geysers (Gas and Electrical), Washing Machine, Dryer, Room Cooler, Juicer, Blender, Milk Skimmer (Madhani), Automatic Voltage Stabilizer, Electric Iron and Tube Light Patti Fitting. A.r printer (Pvt.) Ltd. takes pride in being one of best printing & corrugated box making facility in Pakistan. A dedicated team for Manufacturing and Quality Assurance personnel at A.R printer ensures timely supplies and quality that invariably exceeds client expectation. We believe in building lasting relationships with our valued clients. This becomes possible only with our understanding of client requirements and fulfilling them. We are capable of making corrugated boxes for any application to the clients' complete satisfaction. We are pioneer in introducing export quality, environment friendly 'Fruit Packaging' in Pakistan, which was previously dependent on wooden crates and expensive imported material. We produce close to 15 million boxes every year. We have enabled the grower to fetch better prices and reduce post harvest losses of his produce by providing aesthetic and ergonomic packaging & printing solutions. We have changed the dynamics of fruit packaging in the country. We manufacture corrugated boxes and provide packaging & printing solutions to our multi-national and corporate clients to their complete satisfaction. A.R Printer was established in 2003. We look forward to the future with hope, fortitude and imagination. We are truly thankful and inspired by your dedicated service to the business. Our company, printing solution take much pride with our successful business elements, we are truly motivated with your style. With regards to our deals in the past, we are pretty sure that you are already aware that we share common principles and interests. We would like to let you know that we are interested in merging our companies in order for us to be stronger and this move will take us on top of the industry.We are dealing in printing solutions at cheap rate and good export quality for the last 15 years. The printing solution mainly includes multiple color printing, Lamination and box maker (100% Warranty Excellent quality) . Also offer maximum credit facility. We are together in the business as one, we will be able to explore more ideas and problems brought by the stiff competition in this industry will be a lot easier to face. Hoping for your favorable response. A.R PRINTER ( PVT.) 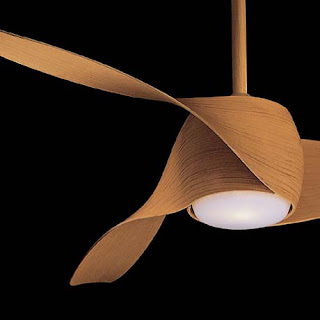 LTD.
General Fan Company (GFC) is one of the biggest fan fabricating organizations in Pakistan. It was set up in 1954 at little scale. General Fan Company (Pvt.) Ltd. was shaped in 1954 as a little assembling unit for electric fans. The business developed rapidly from its timid start because of magnificence of its electronic machines. GFC is making fan in a few classes, for example, celling fans, platform fans, circumatic fans, divider section fans, louver fans, table and TCP fans, debilitate fans, fog fans, cooler fans and that's only the tip of the iceberg. Look at for all the extensive variety of GFC Fans with points of interest and costs in Pakistan at Rateinpakistan.com.pk. You are looking now GFC Fans cost in Pakistan incorporating into all real urban areas, GFC Fans Price in Karachi, GFC Fans cost in Lahore, Islamabad, Faisalabad, Peshawar, Quetta, Multan, Rawalpindi and numerous more urban communities. You can think about the distinction by looking at GFC Ceiling Fan costs in Pakistan with rest of the models accessible in the market. Presently, disclosing to you mindful of the statistical data points about GFC fans. You will be amazed to peruse about them. All GFC Fanss are outlined with predominant quality models. The inner assembling of fans is performed with programmed dynamic kick the bucket stamping power squeeze that completely encased capacitor sort engines. The material utilized as a part of it is light weight and sturdy.